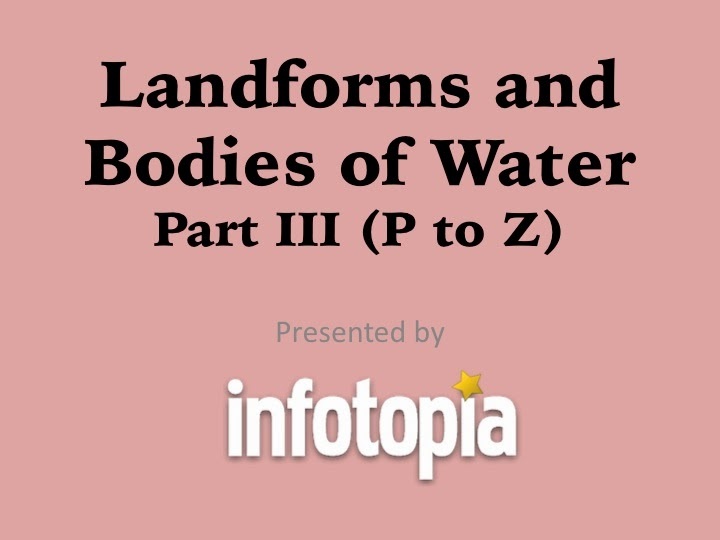 Part III includes images and definitions of landforms and bodies of water from P to Z. 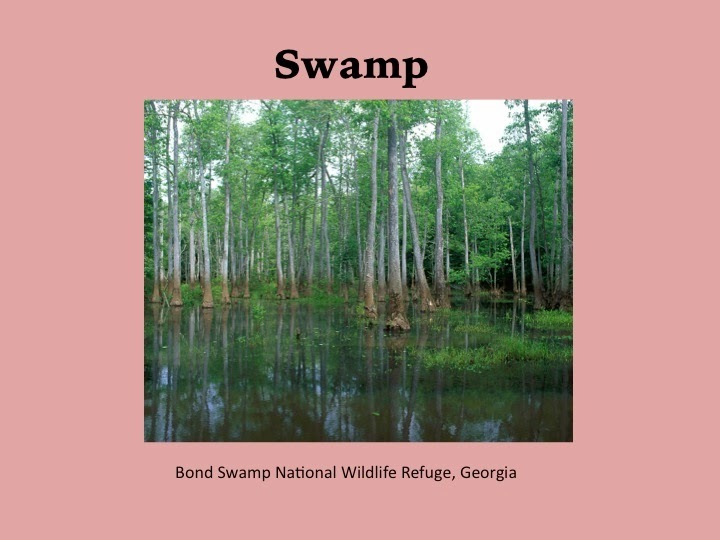 Included in this video are: peak, plateau, pond, reef, river, savanna, sea, sound, source, strait, swamp, tributary, tundra, valley, volcano, waterfall, and wetland. 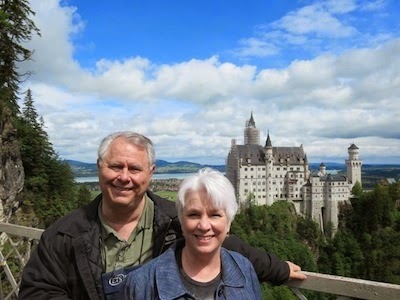 Don't miss Landforms and Bodies of Water Parts I and II as well! Be sure to subscribe to our YouTube channel so you won't miss our educational videos! (We never include advertising in our videos, by the way.) Also, leave us comments and video suggestions below!